Jordan Brand never fails to give us something to be excited about and they did it once again this month with the debut of the Jordan Future Sole M7. 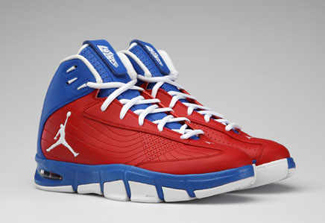 Inspired by the winning design of 16-year-old Allen Largin, the new Jordan Future Sole M7 is now available in the market in two stunning colourways – the Varsity Red/White – Varsity Royal and Team Orange/White – Midnight Navy. 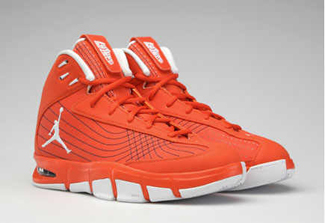 The Varsity Red/White – Varsity Royal edition of the shoe was made as Carmelo Anthony’s way of commemorating the Puerto Rican Day because the superstar is half Puerto Rican, while the Team Orange/White – Midnight Navy edition was made as Anthony’s tribute to his collegiate team, the Syracuse Orange. Both colourways are said to be available on limited stocks only so don’t miss the chance of getting one or both of these elegant shoes now! Air Jordan 1 Retro High Coming Out in Six Colourways!